A multifaceted Indian artist, Dhanush, who is best known for his work in Tamil film industry. He is not only an actor, but also a producer, director, writer, lyricist, screenwriter, and playback singer who has bagged three National Film Awards and seven Filmfare Awards. He was shot to international fame with the popular song “Why this Kolaveri Di” and has since he has starred in many box office hits. He is one of the few South Indian actors to have worked in different Indian language films including his straight English flick The Extraordinary Journey of the Fakir. Dhanush was born on 28 July 1983, in Chennai, Tamil Nadu, India. Dhanush attended Thai Sathiya Matriculation High School, Saligramam and sifted to St. John’s Matriculation Higher Secondary School Alwarthirunagar for high school and later transferred to to JRK Matriculation Higher Secondary School in Vadapalani, Chennai for 12th State Board Exams. Dhanush married Aishwarya, eldest daughter of Rajinikanth, on 18 November 2004. His wife is two years older than him. They have two sons named Yatra, born in 2006 and Linga, born in 2010. Dhanush made his onscreen acting debut in his father Kasthuri Raja’s teen coming of age film, Thulluvadho Ilamai in 2002. He debuted in Hindi with the 2013 film Raanjhanaa alongside Bollywood actress Sonam Kapoor. His role earned him a Filmfare Award for Best Male Debut and was nominated for Filmfare Award for Best Actor. In 2017, he turned director with the film Pa Paandi which had Raajkiran in the lead role. He also played the role of young Paandi in the film. Apart Indian language films, Dhanush will have his first English – French bilingual film titled The Extraordinary Journey of the Fakir, directed by Ken Scott, released in 2018. As a producer, he has bankrolled a handful of movies under his production banner, Wunderbar Films. As a playback singer, Dhanush first lent his voice for the song “Naatu Sarakku” in the film Pudhukottaiyilirundhu Saravanan under Yuvan Shankar Raja music. He has since sang numerous songs mostly in his own movies. He hasn’t appeared in any TV series other than promotional talk shows. Known for his roles in films like Kadhal Kondein, Yaaradi Nee Mohini, Aadukalam, 3, and Velaiilla Pattadhari. His popular number “Why This Kolaveri Di” was the first Indian music video to surpass 100 million views on YouTube. In August 2013, he was made the brand ambassador for Perfetti India’s Center Fresh. Dhanush has an estimated net worth of $20 million US dollars as of 2017. He charges Rs 10 to 15 crore per film as remuneration. He lives in a luxurious house located in T. Nagar, Chennai. He has a large fleet of exotic cars from luxury car makers including Audi A8, Jaguar XE, Bently Continental Flying Spur, Rolls Royce Ghost Series II and Harley Davidson superbike. Growing up, he wanted to become a Marine engineer, but it was his brother Selvaraghavan who insisted him to do films and thus he landed a lead role in his father’s film Thulluvadho Ilamai. Not many know that he is an ardent devotee of Lord Shiva and thus he named his sons after his names – Yatra and Linga. 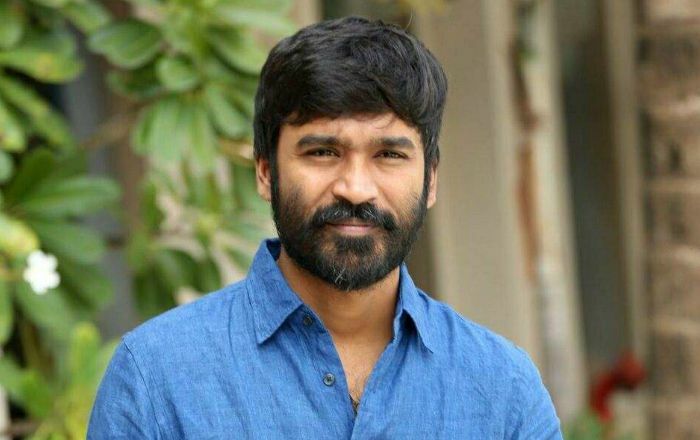 Dhanush won his first National Film award for Best Actor at the 58th National Film Awards for his performance in the film Aadukalam, directed by Vetri Maran. He has won three National Film Awards for his films Aadukalam (Actor), Kakka Muttai (Producer) and Visaranai (Producer). As popular as he is, the actor has been linked with several controversies. During the filming of 3, he and his co-star Shrurti Haasan have been romantically linked together and there were rumours of them living together at that time, but his wife denied all related rumors. In 2016, Kathiresan and Meenamal, an old couple from Thiruppuvanam, claimed that they are the real parents of Dhanush and filed a petition with the police and court seeking the authorities to get back their son. After a series of arguments and cross-verification with the evidence and DNA tests, the court found that there was no truth to the couple’s claim. With a career spanning more than 15 years, Dhanush was unstoppable and has several feats in his cap and his truly amazing talents gave him entry into Hollywood.